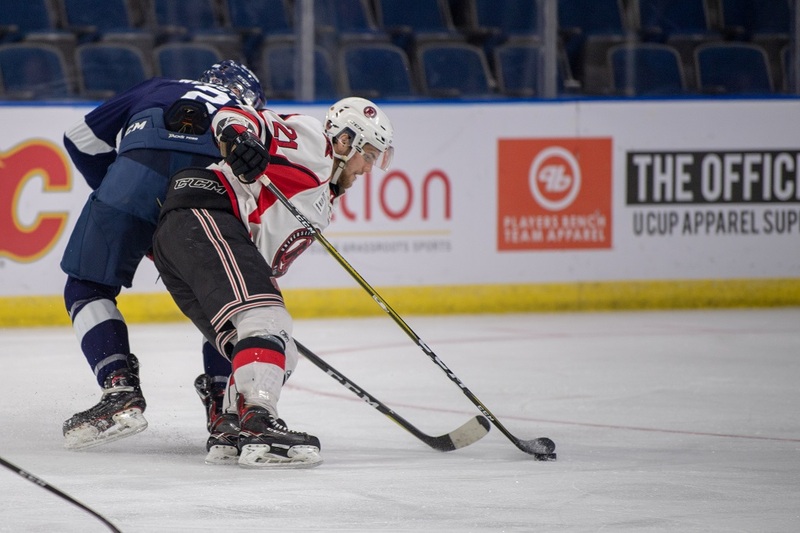 It was a rematch of the AUS championship series between the UNB Reds and StFX X-Men at the ENMAX Centre on Saturday night. 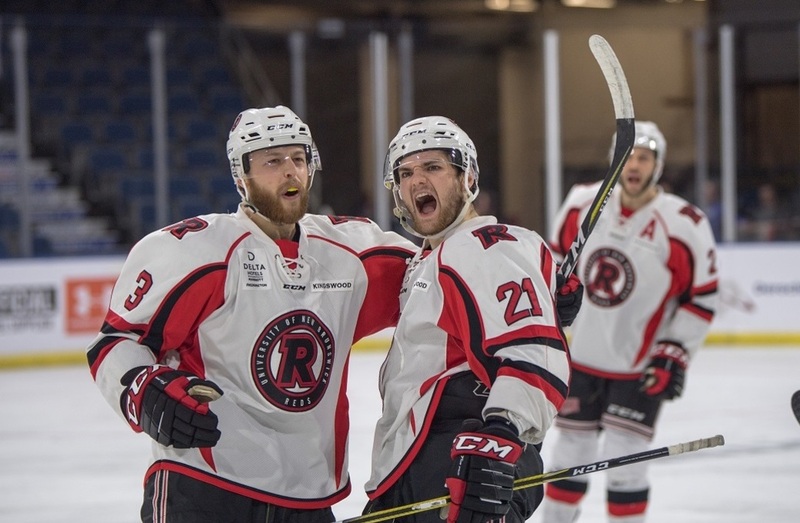 UNB scored early and often to secure a convincing 9-1 victory over their conference rivals and earn a place in the 2019 U SPORTS Cavendish Farms University Cup championship game. “We (had) to jump on them and get right after them, right away,” added assistant captain and fifth-year defenceman Randy Gazzola about the early goal rush. UNB would open the scoring at the 1:36 mark of the first period. Fifth-year forward Cam Brace would find himself all alone at the side of the net as he tapped home a centreing pass from second-year forward Kris Bennett to put UNB up by one. Freshman forward Alexandre Goulet would double the UNB lead with a short-handed marker following some strong forechecking in the StFX zone. Goulet forced a turnover just inside the blue line and drove the net hard before sliding a puck past StFX goaltender Chase Marchand. Just under a minute later, UNB would strike again to extend their lead to three. Bennett would find the middle of the ice and fire home a wrister from in between the hash marks. The offensive onslaught continued for UNB when first year-forward Samuel Dove-McFalls took a breakout pass from fellow freshman Matthew Boucher, streaked up the left wing, and snapped a wrist shot past the outstretched glove of Marchand to put UNB up 4-0. Second year forward Adam Laishram would get StFX on the board early in the second. After a turnover by UNB in the offensive zone, Laisharm would gain the blue line with speed and fire a shot that changed direction before finding the back of the cage. 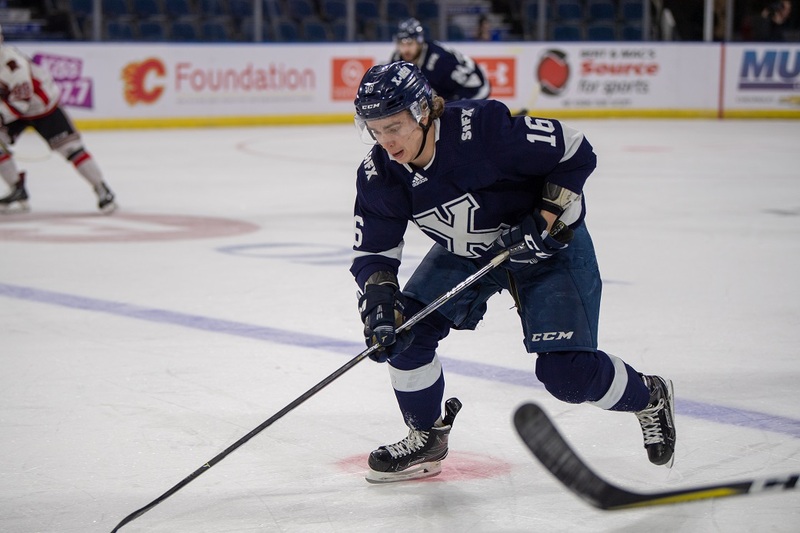 StFX had an opportunity to cut the lead to two with a lengthy five-on-three power play in the second, but the X-Men were unable to convert on the two-man advantage. Shortly after the penalties expired, Bennett would tally his second of the game for UNB when he drove the net hard and roofed a backhand shot with the defender draped all over him. Just over a minute later, UNB would continue to pad their lead. Fourth-year Reds forward and AUS MVP Chris Clapperton would streak in from the left point and slide a puck past Marchand to make it 6-1 Reds. UNB continued to pour it on in the third. Bennett would continue to pace the attack for the Reds, notching his third and fourth goals of the game. First-year defenceman Joe Gatenby also found the scoreboard for UNB. Bennett praised his teammates when asked about his offensive outburst. “Credit to the guys Every single guy chipped in tonight,” he said. UNB outshot StFX 54-20 in the game. 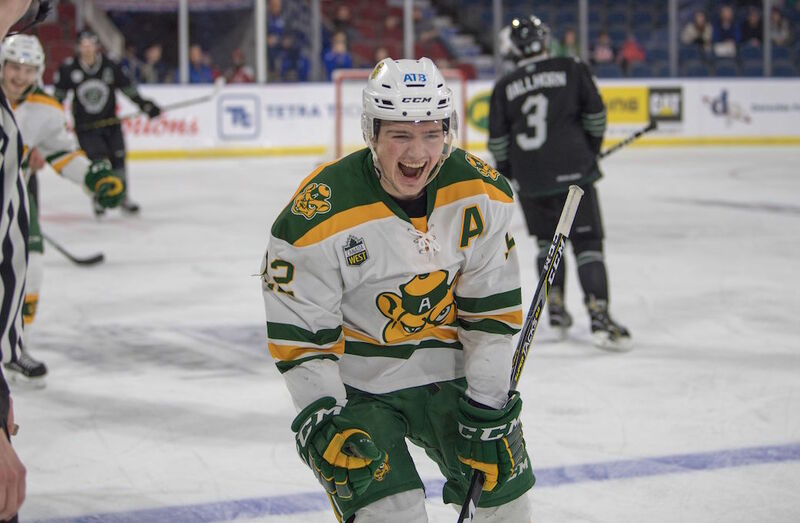 UNB move on to face the Alberta Golden Bears in the championship game, in a battle of the top two ranked teams in the country. Puck drop is set for 8:00 p.m. ET/ 5:00 p.m. PT Sunday on Sportsnet 360 and Sportsnet Now. StFX will match up against the Saskatchewan Huskies in the bronze medal game at 3:00 p.m. ET / 12:00 p.m. PT Sunday on USPORTS.LIVE.